I love aquarium, I love fish. Here is one of my pets - Phractocephalus chemioliopterus. 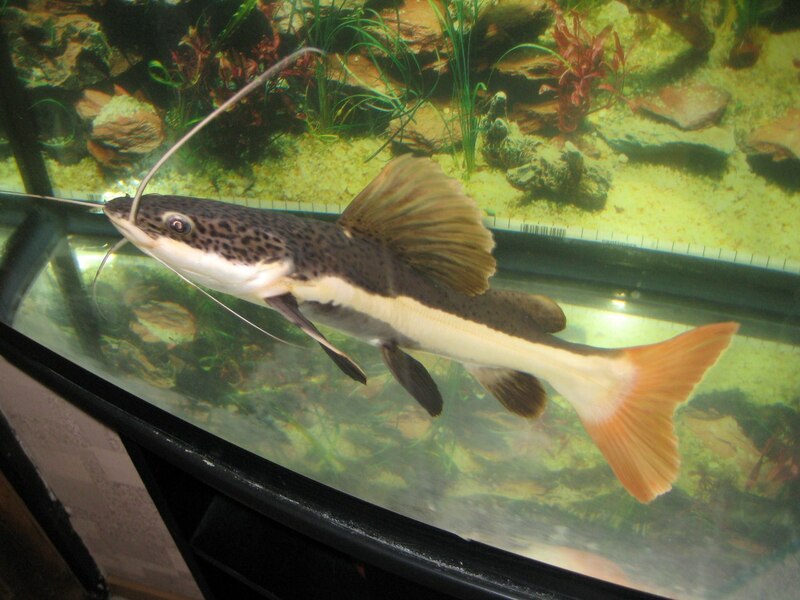 For just only during one month, I took this monster larger than 45 centimeters in my aquarium and this monster destroyed several individuals of African cichlids in my aquarium. I gave this fish to one zoosalone in a large aquarium. He is alive and well ... just a predator. Imagine, this will become shark at the end of the day, will you still be able to love it? beautiful animal . Where can I find one like it? I also love aquarium fish. I had them since childhood. However, such enormous was not. Mostly barbs, angelfish, swordtails, guppies, a couple of kgs (one that is poisonous, whether the current beat), the Golden fish. Separate from the living fish only know betta. Thank you for appreciating my information note. wow !! such a big fish! with such a huge moustache!! This is a real monster ;) !!! It's a real skill to deal with the fish :)!